Further modules to explore include the ?util, ?metamodels, and ?security modules. The ?web, ?net, and ?query are under development. The IntroToPeak tutorial is currently the best way to get started with PEAK. 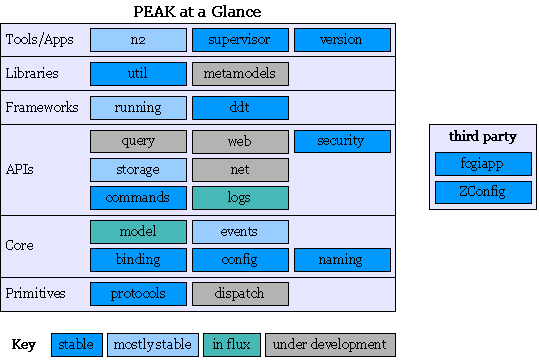 It walks through the creation of simple application which touches on most of PEAK's major subsystems.